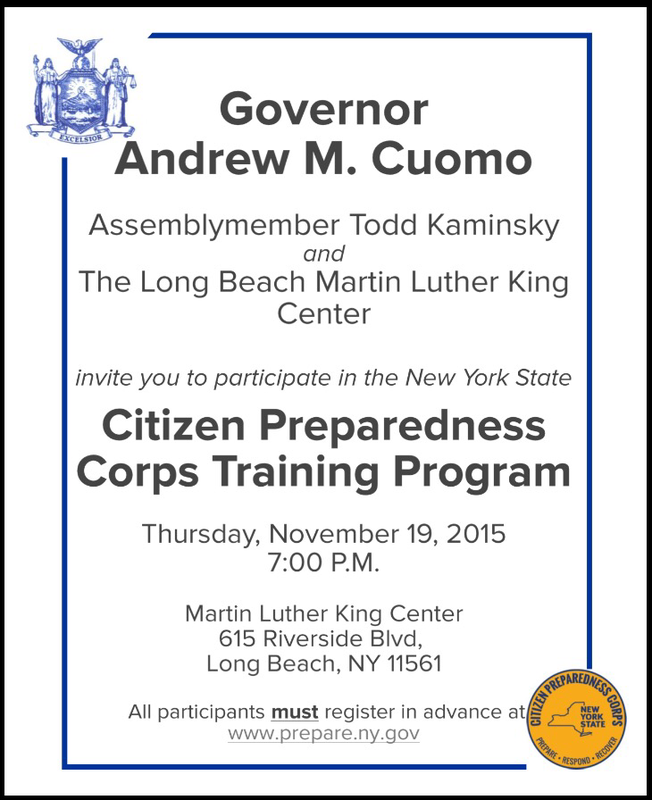 Assemblyman Todd Kaminsky invites all to attend an important disaster preparedness training program, hosted by the Office of Governor Andrew Cuomo, on Thursday, November 19, 7 p.m., at the Martin Luther King Center, located at 615 Riverside Blvd, Long Beach. The New York State Citizen Preparedness Corps Training Program is a two hour training session for residents to have the tools and resources to prepare for any type of disaster, respond accordingly and recover as quickly as possible to pre-disaster conditions. It includes a free Citizen Preparedness Corps Response Starter Kit. In order to participate, you must register in advance by visiting this website: http://www.prepare.ny.gov. Hospital or Urgent Care or? 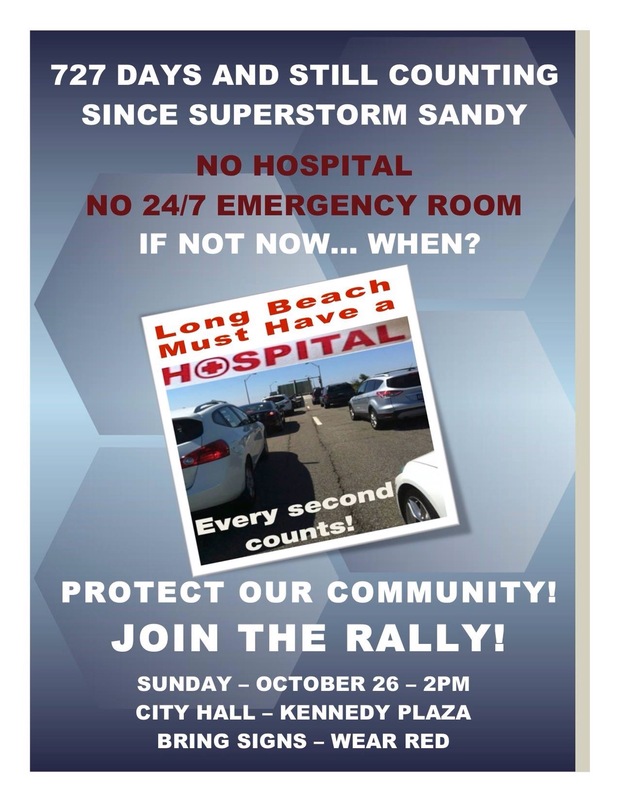 This coming Sunday, October 26, 2014 there will be a Rally in front of Long Beach City Hall to call for a full service Hospital with 24 hour emergency room. We have just read in the October 16th Long Beach Herald about the latest developments regarding South Nausau Community Hospital’s plans for Long Beach Medical Center. We find it difficult to believe that they intend to devote all the FEMA designated funds of [$170,000,000.00] for the restoration of Long Beach Medical facility. With this amount of money, should it not be possible to re-open a full fledged hospital in Long Beach of which the Urgent Care Center could be a part? A hospital is badly needed in a city surrounded by water with a number of nursing homes, an aging population, and a population that grows substantially during the summer months. 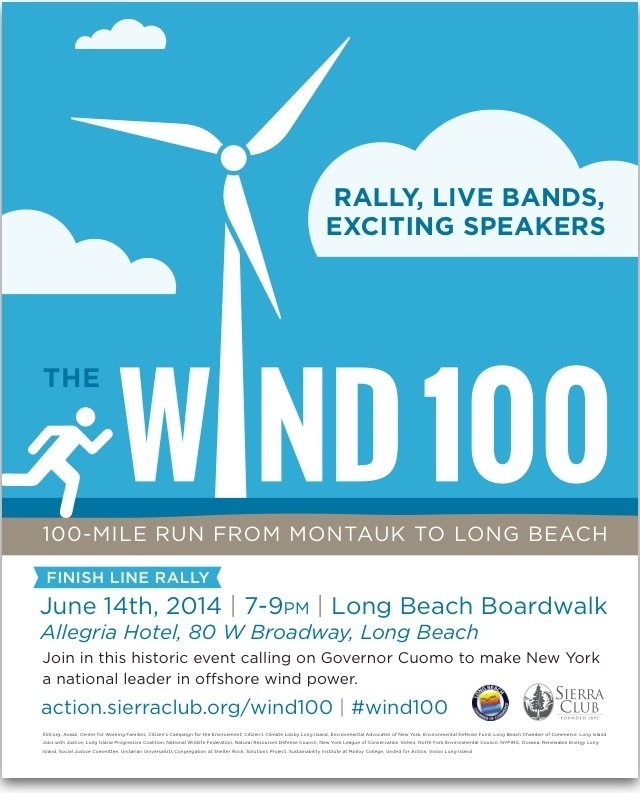 Next Saturday, June 14, 2014 the Sierra Club are holding a unique Event in Long Beach to draw attention to the need for offshore wind power for Long Island. The proposed wind farms should move forward, rather than locking Long Island into new gas fired power plants, their pollution and their volatile prices for the next 40 years. My personal friend, Matt Kearns, will run from Montauk to Long Beach: 100 + miles that day (thus “The Wind 100”), to bring attention to the growing need for and easy availability of offshore wind power here for Long Island. Matt told me he is running from Montauk, “the End, to a new beginning” in the clean energy offshore wind power represents. WHEN: Saturday, June 14, 7:00 p.m. – 9:00 p.m.
Sierra Club Wind 100 webpage. This will be a memorable Long Beach event! 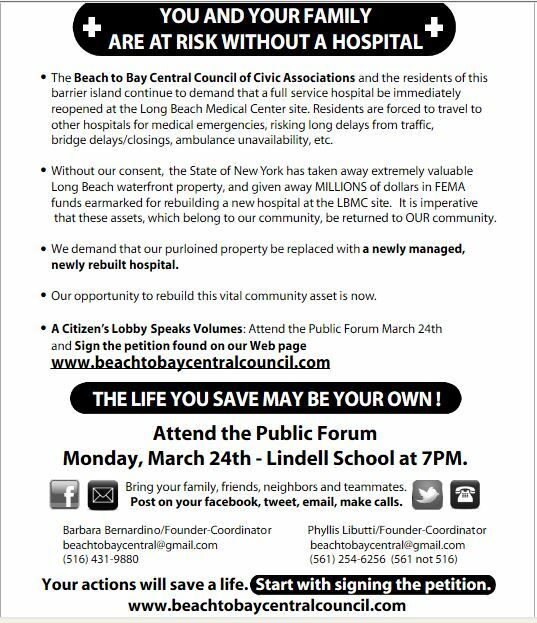 A Reminder that Monday 3/24/14 at 7PM, there will be a public forum held by Beach To Bay Central Council of Civic Associations at Lindell Blvd School Long Beach. They are urging everyone to come and share their concerns and ideas. This weekend is the “No LNG Facility, No Fracking!” gathering in Long Beach. 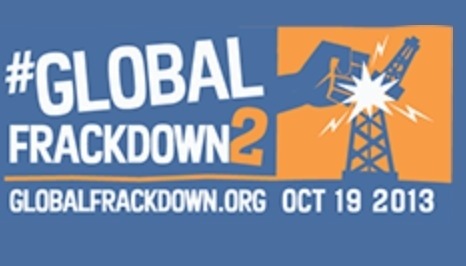 It is Just our local edition of the Global Frackdown, simultaneously taking place in hundreds of cities around the world. The Global Frackdown will unite concerned citizens everywhere for a day of action on October 19, 2013 to send a message to elected officials in our communities and across the globe that we want a future powered by clean, renewable energy, not dirty, polluting fossil fuels. There will be prominent environmental groups and speakers to help draw attention the these two problems facing us right now. Nothing has changed the status of the proposed Liquified Natural Gas (LNG) port directly off our shores. It has not been legislated away, Governors Cuomo and Christy have not vetoed it. It has not gone away and neither will we. Beachings: Are We Washed Up, Too? When is somebody going to do something about it?? This post caused me to think about what everyday people care about and need to hear. I banged out my reply to go on their post. I am upset by it. As I thought about what I had typed, like I often do, I decided no one wants to hear this. I carefully highlighted and cut my words out of the Facebook reply. 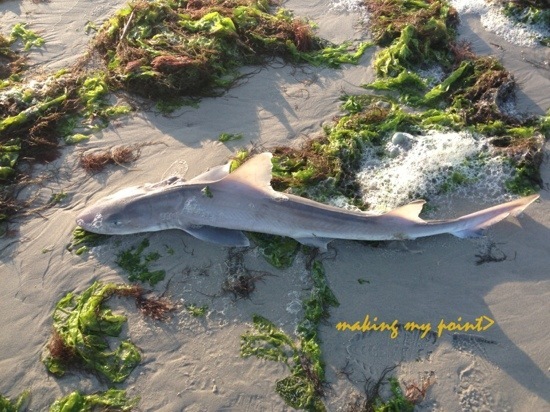 Not a moment later, someone texted me the picture above, of a small 3 foot long shark washed up on the beach right here in Point Lookout at second / middle beach taken at that moment.